One of the trends that came out of the 1950s, that is still popular today is hula hooping (known today mostly as "hooping"). Over the years enthusiasts of the hoop have honed their skills, evolving from the simple act of spinning the hoop around one's hip to now various parts of the body, sometimes with well rehearsed routines (and still a great workout). 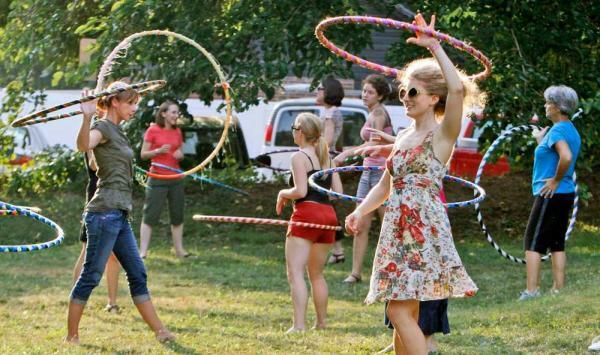 Today you'll often see hooping at almost any event that incorporates music (and there's space for hoopers). Come 10.21.2015 (hula) hoopers are invited to come show us what they've got...with a $200 cash prize to the best! • When contestants arrive at the BACK TO THE FUTURE party on 10.21.2015, they must register at the Girls Of The Con booth (located across from the entrance when you enter the party) if they want to be in this contest. They will need to sign-up by 9:20pm. NOTE: Due to time constraints, organizers might limited the amount of entries to the contest, so get there early and sign-up ASAP! • Participants will have approx. 20-30 seconds to perform on stage (solo), then will quickly move off the stage to allow for the next competitor. NOTE: Time allowed is determinate on how many entries there are. 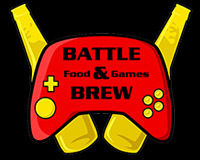 • Contestants will need to provide your own hoop(s), or borrow a friends at the event. Use of multiple hoops is allowed but not required. • Organizers and DJ Rev Andy will provide the music. • The contest will take place on the main stage area, where everyone can see! 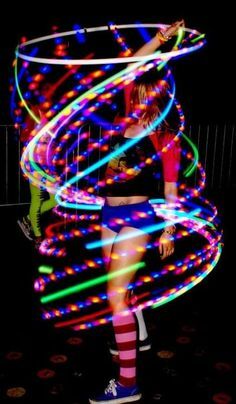 • Due to a new venue policy, organizers are asking that hoopers only "hoop" while on stage and not on the main dance floor areas. Hoopers are welcomed to return their hoops to their vehicles if they'd like after the competition. HISTORY OF THE HOOP: Although this popular toy made its infamous debut in the 1950’s it had surprisingly already been around for hundreds of years. People have been playing with different versions of the Hula-Hoop since the days of ancient Egypt, over 3,000 years ago, when children would fashion circles from dried grape vines and swing them around their waists, roll them on the ground, or toss them to each other. Ancient Greeks even used hoops as a form of exercise to lose weight. In the 1400’s, hooping became popular in England until the British began to blame the practice on heart attacks and back disorders so playing with the toy was then discouraged. Hula-Hoops have been made from every sort of material from wood to metal and they are still enjoyed by people of all ages to this day. In 1958, Richard Knerr and Arthur “Spud” Melin, the founders of WHAM-O, released the first plastic hoop and trademarked it under the name “Hula-Hoop.” The toy itself could not be patented because it was such an ancient concept. The name was inspired by the way that playing with the toy resembled the Hawaiian Hula dance. Luckily, Knerr and Melin didn’t go with other name ideas such as Swing-A-Hoop or Twirl-A-Hoop, because the name Hula Hoop was a big hit! Our founders got the idea to make the toy from Australian children who twirled wooden hoops around their waists in gym class. The first Hula-Hoops were made from a patented plastic called Marlex and sold for $1.98. Amazingly, twenty million hoops were sold in the very first 6 months of production which ignited the Hula-Hoop craze of the 1950’s.